BILLINGS, Montana, December 7, 2012 (ENS) – Brazil has notified international animal health regulators of its first case of bovine spongiform encephalopathy, BSE, commonly called mad cow disease. The cow died two years ago, but the test confirming the deadly brain disease was not done until 18 months later, and the results not made public until Thursday. This time lag allowed Brazil to export roughly 67 million pounds of beef to the United States since the suspect Brazilian cow was identified. Mad cow disease is transmissible to humans who eat beef contaminated with the prions that cause the disease, which is invariably fatal. R-CALF USA, a U.S. national, non-profit cattle producers association, warns that this situation points up the need for defending U.S. mandatory country-of-origin labeling now under attack before the World Trade Organization. “That means the U.S. imported enough beef from Brazil in 2011 and 2012 to feed over one million Americans their annual consumption of beef,” said R-CALF USA CEO Bill Bullard. “None of that Brazilian beef imported into the U.S. during the past two years was subject to BSE mitigations that are supposed to apply to countries where BSE is known to exist, meaning U.S. consumers have been subjected to an unnecessary and avoidable risk of mad cow disease from Brazil,” said Bullard. A Brazilian notification submitted Thursday to the World Organization for Animal Health, OIE, identifies a 13-year-old cow that died in December 2010 in Parana state as a suspect for bovine spongiform encephalopathy, BSE, or mad cow disease. The notification indicates that in early 2011, Brazil subjected the suspect cow to only one of two primary tests for mad cow disease – a histopathological test – that indicated the cow was negative for mad cow disease. It was not until June 15, 2012 that the brain sample of the suspect cow was subjected to the second primary test for mad cow disease at the National Reference Laboratory in Recife, Brazil. It tested positive for BSE. Brazil claims the long delay between the two primary tests for BSE was due to a combination of a work overload at its testing laboratory and OIE rules that caused Brazil to lower the priority of testing the suspect cow in its laboratory. After the brain sample tested positive in mid-2012, the sample was sent to the OIE reference laboratory in Weybridge, United Kingdom, where it again tested positive for mad cow disease on December 6, 2012. “The two-year delay in Brazil’s disease notification is a symptom of the failure of the OIE’s global system that erroneously assumes foreign countries, particularly developing countries, have the same means, commitment and capabilities as the United States to control and eradicate diseases,” said veterinarian Max Thornsberry, who chairs R-CALF USA’s Animal Health Committee. “This shows that the United States should not be relying on the OIE or on foreign countries to ensure that food imported into the United States is safe,” warned Thornsberry. Thornsberry says that the BSE contamination situation is yet another instance of the United States relying on a foreign government to assure that meat is safe similar to the incident this fall when raw beef from Canada was found to be contaminated with E. coli. The USDA’s Food Safety and Inspection Service issued several public health alerts in September and October for raw boneless beef trim products imported from Canada by XL Foods, Inc. for contamination with E. coli O157:H7. The United States implemented mandatory country of origin labeling, known as MCOOL, effective March 2009. MCOOL requires grocery retailers to provide country-of-origin labeling information for fresh beef, pork, lamb, chicken, goat, wild and farm raised fish and shellfish. 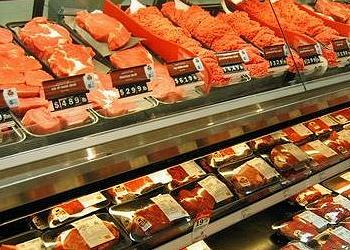 Mandatory country of origin labeling for fresh meat products has been controversial for many years. Proponents argue that consumers demand origin information and have the right to know the provenance of meat products they purchase. Opponents claim compliance increases costs for producers, processors, and retailers with insufficient benefits. Trading partners, led by Canada and Mexico, have challenged MCOOL and presented their case to the World Trade Organizational. The WTO has ruled in favor of this challenge, and the United States is in the process of responding to this ruling. R-CALF USA, which stands for the Ranchers-Cattlemen Action Legal Fund, United Stockgrowers of America, says fresh beef sold in the United States must continue to be labeled with its country of origin to protect consumers from meat contaminated with mad cow disease, among other pollutants.